Fourlab s.r.l. was founded in 2005 by a group of experts in the Film Industry and Festival Organization. The project aims to relaunch, on the big and small screen, modern productions with the ambition to engage and excite their audience, keeping an eye to the emerging industry. The Company was born as a producer and distributor of film, short films and documentaries, and over time it has distinguished itself by acquiring the rights of many different films in terms of genre and origin. Nowadays the Company has an heterogeneous catalog that counts 80 titles, which is constantly enriched year by year. 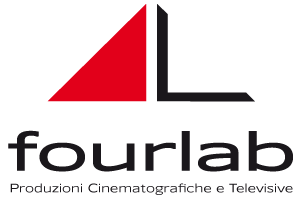 In 2018 Fourlab acquired several films including "GRAMIGNA", a film about Camorra, showing the complex dynamic of the heredity between bosses and their sons; and the tv series "SNOWSNAPS", a Canadian animation that received several awards including Télétoon, Disney La Chaine and Treehouse Tv.